Left or right? Laugh or sneer? Lazy or active? Greedy or generous? Thief or hard worker? Peace maker or fear monger? Good or Evil? Choice is a part of our everyday life, but rarely do we see choices in our entertainment. Many games over the last two decades have tried to break free from a linear story, allowing choice and freedom for the player to express themselves. Plenty have succeeded, but majority still just offer a very similar story, no matter what choices you make. Lionhead Studios’ latest offering, Fable II is a choice-orientated RPG (Role Playing Game) adventure game, exclusively for the Xbox 360. Everything is hazy? Was it something I ate? Oh, bloom-lighting. Beginning as a humble street urchin, scraping a living with your older sister, you stumble across a magic box, which holds the secrets to an ancient society which crumbled five hundred years ago. The choices you make begin even as this young child. At a very early stage someone very close to your ‘Hero’ is taken from you and you find yourself almost a decade later, as a young man (or woman). From this point on, the world of Albion is at your mercy, as you begin your journey to vengeance. With your ever-obedient dog by your side, the entire world that your character lives in thrives or suffers around you. Depending on your actions your ‘Hero’s appearance will change, reflecting the good or evil that you commit. Along with your appearance the opinion of you in the minds of the citizens of Albion will also change depending on your actions. To make an income in Albion’s economy, one option is to work for your gold, but another is to steal. If you are caught, committing an act of theft, extortion of a citizen, murder, attempted murder or vandalism it may result in a fine which is enforced by the local guards if you are caught, one could pay that fine or one could resist arrest. Every man, women and child in the world of Albion is killable, each property is purchasable and every citizen’s sexuality is questionable. Your ‘Hero’ can marry any citizen regardless if the citizen is a man or woman, and if possible, you can bring children into the world. The combat system in Fable II is a very simple, yet deep experience. Using three buttons on the Xbox 360 controller, one can control their Sword (or other weapon) with the (X) button, their Gun or Crossbow with the (Y) and their Magic with the (B). The straightforward control scheme makes fighting easy for beginners who may never played a video game before, yet to master the system a challenge. To complete the main story line, it would take most around 10 hours, but that would involve ignoring all the interaction that can be had with this world. It is quiet common for a player to feel detached from the world in most RPG’s, as there are not many options when it comes to choosing what your exact appearance is and how your character is to interact with the world, but Fable II is an exception. If your ‘Hero’ was to wear no clothes or you decide that wearing a corset will increase his manliness, it will have no impact on how he is to fight; it will only change people’s opinion of you. You interaction with the world of Albion is very unique, not only with the people around you, but your family. For example, if you were to leave them and not return for a very long time, without giving them money or food then you would return to a very hungry and unhappy family. The level of emotion that a citizen can express is also very impressive. Let’s say you return to your family and our son comes running out, ‘Daddy, Daddy where have you been? I’m really hungry!’ You could give him something to eat or you could take out a pie and wolf it down in front of him, the expression is priceless. 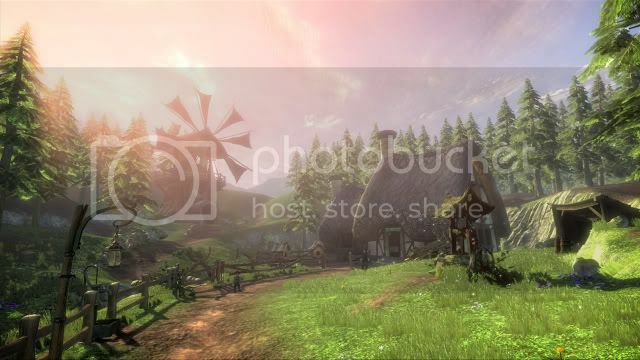 Fable II’s breath-taking environments have been lovingly crafted, along with it’s cinematic music. Quirky dialog adds a comical approach to most of the citizen and famous British actors have been used for the voice of a few of the main character such as Zoe Wannamaker and Stephen Fry. While the loading time between areas is bearable, what cannot be overlooked is the Co-Op mode. The player may invite a second player to join their world as a ‘Henchman’. 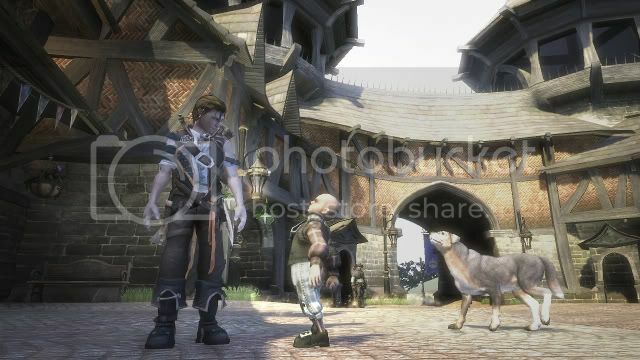 If the second player has their own character in Fable II, they cannot import it into their friend’s world; they can only extract the Gold and Experience they earned as a ‘Henchman’. This second player can be either playing on the same console, or over Xbox Live. While having two players in a completely interactive world sounds overwhelmingly entertaining, though the camera has a nasty habit of locking of at inconvenient angles and this can create quiet a load of frustration. While it is nice to invite another player into your world so that they can compare the difference between their Albion and yours, it is normally not worth the effort. This is solid title, worthy of recognition and respect. While some aspects of this game are disappointing, it holds true to what a Fable is, a story with a moral message. Every little choice has a long and short term affect on you and your surroundings. Who will you become? Speed review/Summary: If you enjoyed its predecessor then you will be enthralled by its sequel. With every action having a consequence, you will have complete control over who your character will become. While its story length is a little short and Co-Op didn't live up to its expectations, it holds its own through its beautiful environment and characters. 'Crash!'. Sound familiar? That is the sound of the western world's economy falling to the hard, cold floor. The economic crisis is the spawn of capitalistic greed, and this worldwide issue may hit home to gaming as well. Unlikely, but many of our consumer needs and wants maybe be narrowed, which may have slight effects on sales of home entertainment. But don't listen to me. I failed economics. In more of a 'rainbow and butterfly' approach to the gaming news, many new titles are soon to be released or have already done so. Australia will be seeing Little Big Planet for the PS3 on the 7th of November, Gears of War 2 for the Xbox360 on the 11 of the 11th, World of Warcraft: The Wrath of the Lich King for PC on the 13 of November, and many more. It will be a fruitful Christmas for the industry. We have already been joined by Fable II for the Xbox360 which will be reviewed here in a few days time. Along the new gems on the market, is Saints Row 2 for the Xbox360, Farcry 2 on PS3, Xbox360 and PC, Star Wars: Force Unleashed on nearly every platform. Later next month, I will be visiting the iDEF eGames expo, held in the Melbourne Exhibition Building from the 14th-16th of November. I will be bringing you the action and news from the show so stay tuned. In the lovely innovative use of public Melbourne space, A.K.A Federation Square, I was privileged to meet an Artist who is currently working for Infinitive Interactive as an Intern through the ABC's Good Game intern award. Zac 'Greenlig' Duff is working on the Puzzle/RPG title 'Office Wars' which has been commissioned by the ABC. 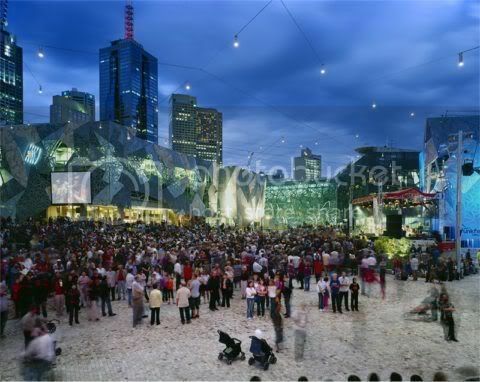 Does Federation Square also remind you of some evil child's use of Lego? There has to be some sinister use for Fed Square, it just has the ' menacing corporation' feel to it. Office Wars is a concept forged by a Good Game forum-goer was a competition that the ABC held which would allow the game concept to be taken to Infinite Interactive to be produced. At the moment Zac Duff claims that the game must reach 'only a prototype' requirements and that is all that must be submitted to the ABC. If there is much popularity within the community, Infinite Interactive may decide to take the game further and produce it for PC, XBLA and PSN. A screenshot from the Office Wars design document. Zac Duff has had a huge impact on the look and style of the game, the style of the characters above where designed by him. Many people have speculated on how one will defeat the games so called 'bosses', if its using physical force or mental wit. 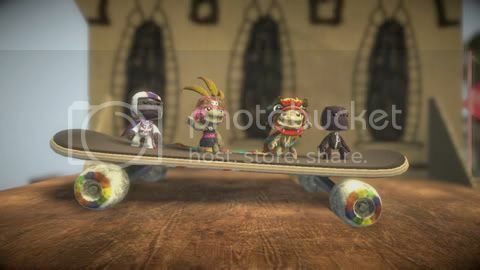 Mr. Duff then stated, that the use of 'staplers' may be used in one of the boss fights. You can take that into your own interpretation while keeping in mind that the same developers have produced international hits such as 'Puzzle Quest'. Sadly I doubt that we will see that stapler be put to any 'Gears of War' styled uses. 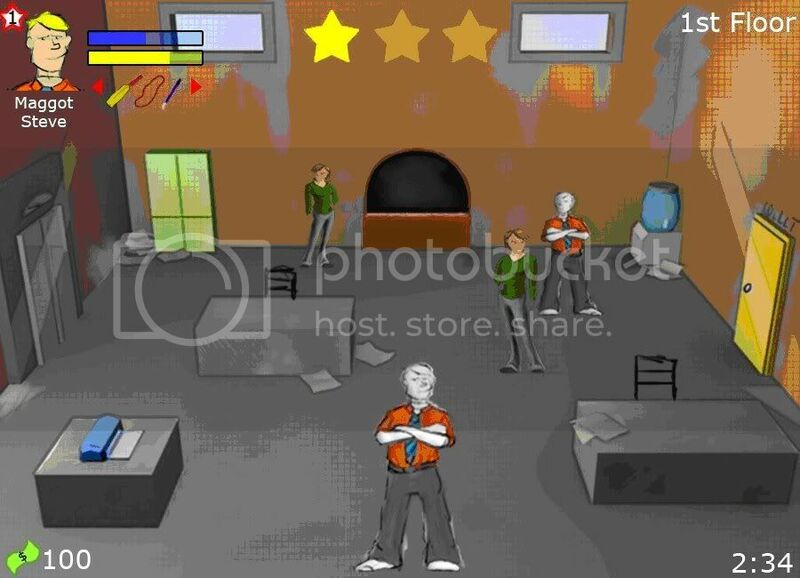 Office Wars 'prototype' will be released later this year for PC. Thanks to Zac Duff for the Exclusive Interview. I love, play, write about and debate games because I find them to be an amazing medium and one of the most mind-boggling concepts. Games are more than just a form of an ever changing entertainment. They are engaging a player to interact with an environment, or story in more that one way. Without the interaction of the player, this art form wouldn't exist. Unlike Music or Fine art's which are always visible or listenable, without the players decisions (even when the game is linear) it would not be the medium it is without the player. The thing which entices me, is that Games are three different things all in one. They are can Art form, they can be a Sport and a form of Entertainment/Play. What I also enjoy is the industry and the creation products which revolve around the games we love and play. There are so many developers, who don't play games themselves in their own spare time, but see this as an interesting form of modern communication and the future of our entertainment. Good Game is on Australian TV every Monday 9PM (ABC2 Channel) or you can podcast the show from iTunes. Are video games a form of art? Is the development of video games returning to its creative side rather than the financial contest that the retail market has turned it into? These ideas open up a banquet of questions in which developers, journalists, and gamers alike, especially after the closure of this year’s E3. ‘Christmas in July’, was once used to describe the anticipation to the E3 expo held most years in Los Angeles. This year was no different with hype. Many journalistic figures yet hoped for the big scoop which is E3. However, this year was different. Countless members of the gaming community retold their tale as they approached the expo. Some could not even find the entrance to E3, and had to ask for directions, even when they had been there year after year, and the venue had no changed. There was minimal advertising out the front of the expo and even in the hallway the promotional posters for upcoming titles where numbered. The visitors to the show resembled a pack of springbok after a lion has run through. What is driving E3 into the ground? What once used to be an auditorium so full of noise from the presentation stands of each game that no one could talk, let alone actually view the games presented due to the amount of booth babes, visitors and employees. 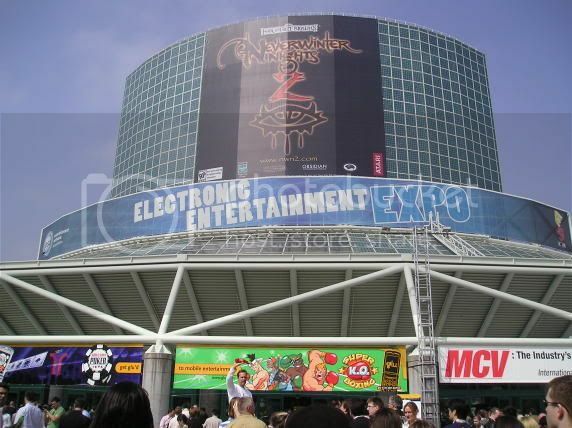 Now there is a lack of hyped material, dissolving number of presentations and a substantial collapse in the amount of visitors for the 2008 E3. There have been many figures in the gaming industry comment on this new movement, and the downfall of one of the greatest entertainment expos established. One of these commentators is Lorne Lanning, a long time developer and a key figure in the gaming industry. He has a firm belief that there is a current fall in the retail side of the industry which is unlikely to rebuild itself. With the current surge in oil prices, the long list of process it effects to produce a game which will be sold on the retail market has all been effected. The production of the disk and packaging in which the game is made on, to the cost of shipping it is all affected by this uprise in the oil price. Lanning has brought up the fact in a recent interview that the future of gaming lies in digital distribution. For starters, when a development team can produce and sell without the burden of retail, a world of possibility is opened. There are quiet a few forms of video game distribution that have recently become a commonplace for gamers to purchase their products. There are many reasons for why programs like Steam, Xbox Game Store, and now even the Nintendo Wii has created a new platform to purchase form. Digital distribution is becoming a gateway for new titles and likewise the downfall for expos such as E3. While E3 falls others have been rising in the shadows, for developers the Games Development Conference (GDC) held is San Francisco is a centre point for forging new ideas on how to produce quality games, while still attracting media attention. From the perspective of the game developers, an idea for a new project may be conceived with a high intention of producing something unique, exciting and innovative. At this stage one may call it art. It is a creation, that has no been influenced by any other factors but that of the architects of this concept. Though were this medium begins to loose its credibility as an art is when the publishers of a development company, have to control this idea, as to make it a product that is risk-free when placing it on the market. This idea then is scaled down, to fit what would be claimed to be a stock standard title. Taking too much of a risk in the retail market can lead to the game becoming a financial struggle, and that is what the publisher is trying to avoid. Once the development is finished, the game is then directed to the publisher, using forms of communication such as websites, magazines, airtime and gaming expos, the publisher attempts to make the community focus its attention to their upcoming title. Once the community has is gaze fixed in awe, then follows the reason for majority of this advertising, to grab the attention of the retail market. The buyers for the major retail outlets then will try and whip up a contract with publisher, to ensure that the game will be guaranteed in store advertising and publicity. Those minor developers who do not spend time creating a pre-conceived hype for their title, even while they may have an engaging and innovative game will struggle. The retail outlet, will obviously order less copies, and most likely not have posters and advertising announcing that they are selling this title. That leads to less people have knowledge regarding the game, leading to less copies to be sold. The idea of digital distribution is to cut out the middleman. No longer are these media expos a necessity to make sure your game comes clean and makes a return. Without retail, games that have been crafted by smaller development teams that may have a completely new inventive idea or foundation behind it, doesn’t have to dish out the millions it doesn’t have to create and advertising campaign. With platforms such as Steam, one can then create and publish their title without hassle or worry of being dominated in the retail market and allow their game to remain an art form. Kapow! The Aussie Classification Board lands another hit with their almighty banhammer. The Australian Office of Film and Literature Classification (OFLC) Board has reported to the Media that Fallout 3, an upcomming RPG title for Xbox 360, PS3 and PC has been banned. The game would receive a R+18 rating, but with a lack of this classification for Video Games, it has instead been offically banned. A OFLC report was given to Journalists saying that the reason for the ban was regarding the Drug's theme or within Fallout 3 'chems' which have more a positive, rather than negative effect on the character in which the player controls. There has been the use of drugs in recent Triple A titles such as Haze and Bioshock, in which a form of Drug is taken to enhance the character, but both show an obvious negative effect from taking the drugs. The OFLC classifies Video Games according to Classification (Publications, Films and Computer Games) Act 1995. It states that it will allow a game with Drug themes that would fall into the MA+15 classification if the game does the following: 'Drug use should be justified by context'. The Gaming community and Media haven't taken this report with the much support and have also been warned that they are not permitted to import Fallout 3. Peripheral Review: Fit for a king – Handy accessories or simple junk? While I was browsing through my local EB games outlet, I came across a range of accessories for the XBOX360, PS3, PSP, Wii and so on. I thought to myself, are these really necessary? Well let’s take a look. My item of interest today is the Xbox360 messenger kit, as you can tell it is used to make it easier to write messages through the Xbox live mail system. 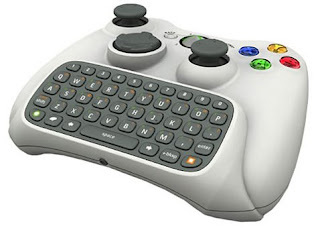 The Xbox360 messenger kit is very simple to use, when needed you simply plug the kit into your controller and type away. The Xbox360 messenger kit even has Backlit buttons so that you can type messages when there is little or no light at all. And so this accessory can be very useful if you cannot be bothered sending a recorded voice message. But is it necessary to spend around fifty AUS dollars just so you can type your messages faster there for informing your recipient with a more formal, well written message? Well that’s up to you but personally I reckon it is a waste of one’s time and money. Firstly it is easier and faster to send a recorded voice message instead because it tells the recipient directly what you are informing along with the language and tone of your voice, there for making more or less understanding. But this is just my opinion; I have nothing wrong with those who choose to use this accessory. So if you find it hard to type out messages over Xbox live and you feel uncomfortable expressing your voice through recorded messages then this is the accessory for you! Bonus Round Gaming: Written by Dan Byron & Josh 'Jack Frost' Ford. Bonus Round Gaming: Gaming News, Reviews, Industry talk, Ideas and the Melbourne Gaming atmosphere. Give into the greatness!